RVing offers an affordable, alternative, adventuresome lifestyle, as well as providing shelter while you build a permanent home. 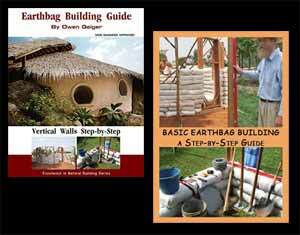 We try to cover a broad range of topics about low cost, sustainable living. 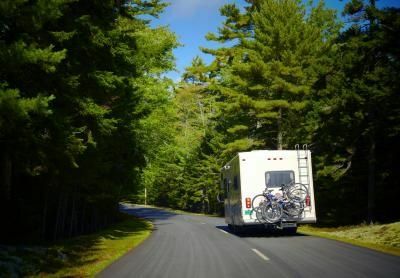 One option is RVing – living in Recreational Vehicles. The cost of RVs has dropped substantially over the last few years from what I hear and so this may be something you’d like to look into. You can live in an RV while you build your home (and be mobile in the duration), or live on the road. Let’s say you buy a used RV to live in while you’re building your permanent home. When you’re finished with your home, you could probably sell the RV for about what you bought it for. It’s an affordable lifestyle if you don’t drive too many miles. There are thousands of campgrounds with good facilities or you can rough it a bit and stay on BLM and forest service land. You might find places to stay for barter and work/trade relationships – say working on an organic farm a certain number of hours per day. And if your job falls through, you can more easily head off to where jobs are more plentiful. Here is a site that promotes a more DIY version of the lifestyle. Making it available at an extreme low cost using cheaper more commonly available (and more fuel efficient) vehicles. The web site covers many aspects of living on the road, such as how to stay clean, how to get power, how to avoid drawing attention to yourself, cooking, sanitation, etc.